Hi! 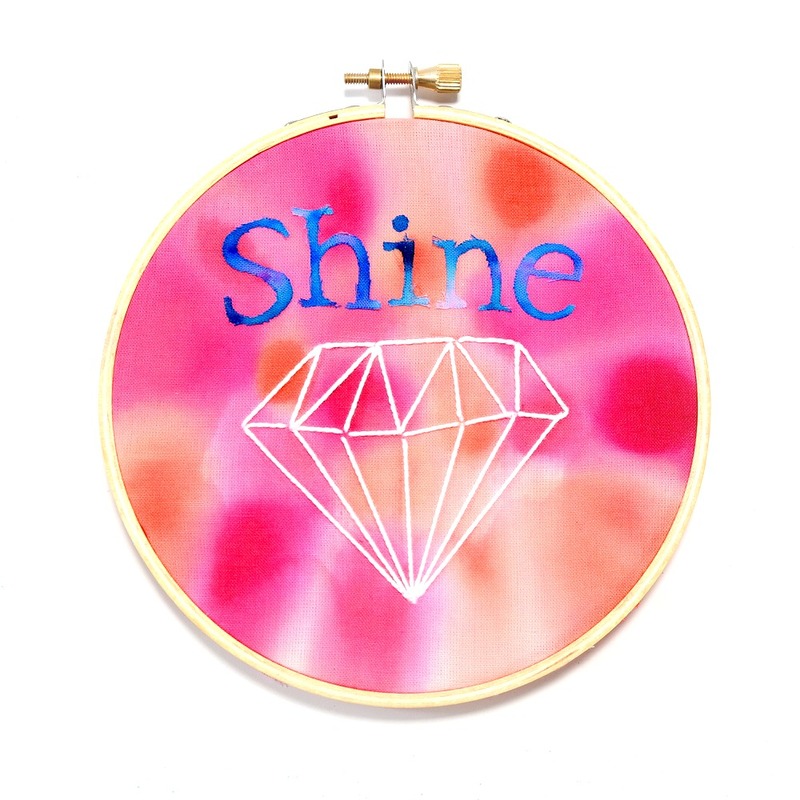 I'm sharing a piece of embroidery hoop art that I created for Clearsnap today. One of my favorite uses for my crafting ink is to dye fabric. I used my reinkers with water to dye muslin for this project. Step 1. 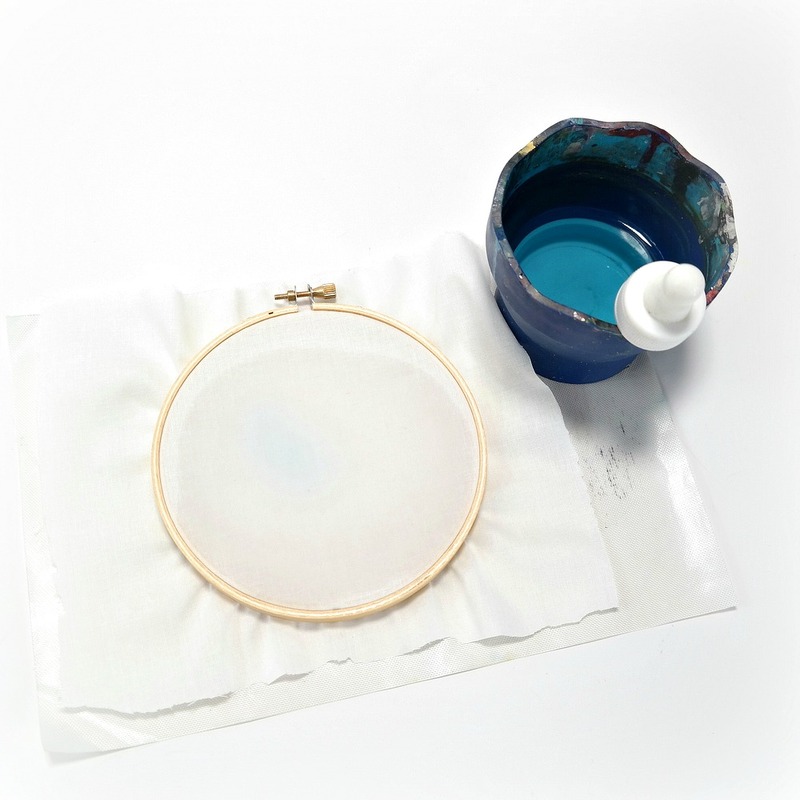 Insert a piece of muslin fabric into an embroidery hoop and stretch until taunt. Apply several drops of water onto the center of the fabric. Step 2. Select a few complementary colors of ColorBox DyeStress Reinkers. 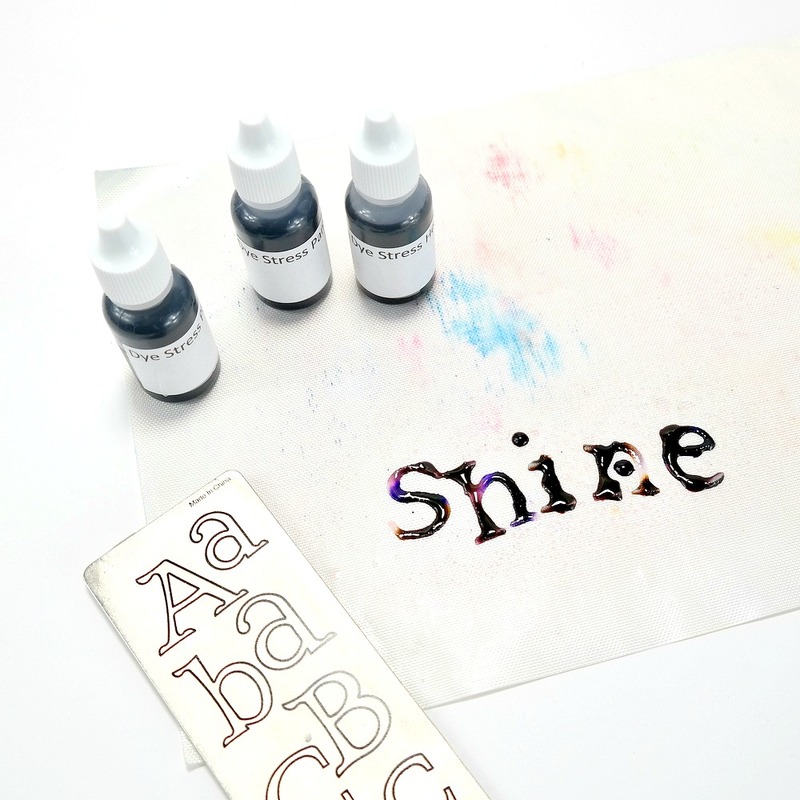 Apply several drops of each color of ink onto the wet muslin. Step 3. Apply more water to the fabric to help spread and blend the ink. 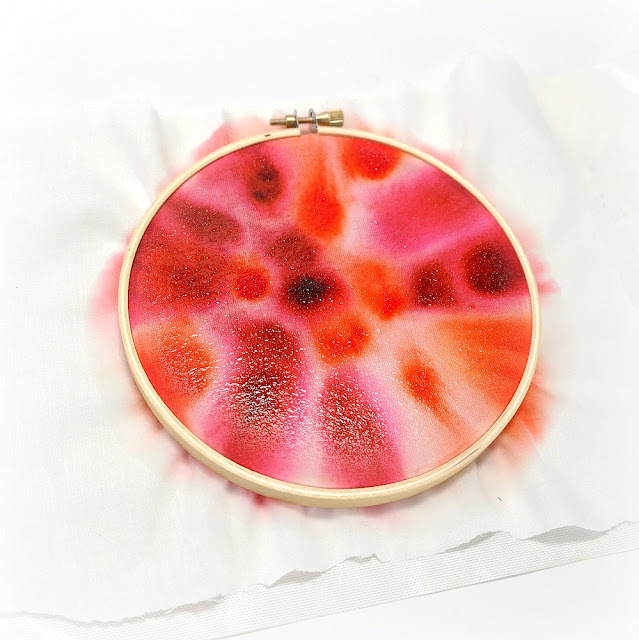 Remove excess water and ink from the fabric by blotting with paper towel. Let dry. Step 4. Use an alphabet die-cut set to cut a sentiment from muslin. Select a few complementary colors of DyeStress Reinkers, different from those used in step 2, and apply several drops of each color of ink onto the muslin letters. Add water to blend. Remove excess water and ink with a paper towel. Let dry. Step 5. 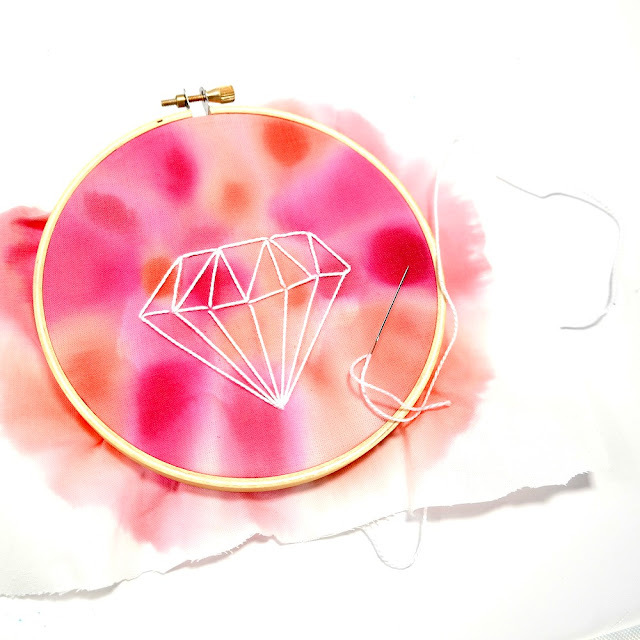 Use a needle and white floss to stitch a diamond onto the fabric in the embroidery hoop. 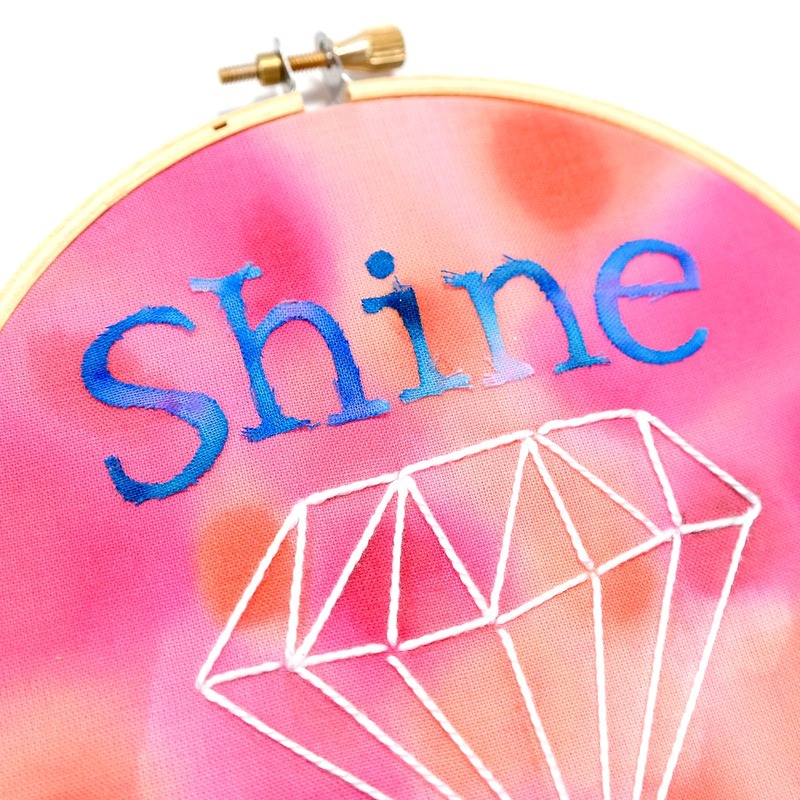 Tip: Try using the Teresa Collins Diamond Wood Mount Stamp with the ColorBox Erasable Fabric Inkpad to stamp a diamond stitching template onto the fabric in the embroidery hoop. Step 6. Glue down the die-cut letters to the top of the fabric in the embroidery hoop. 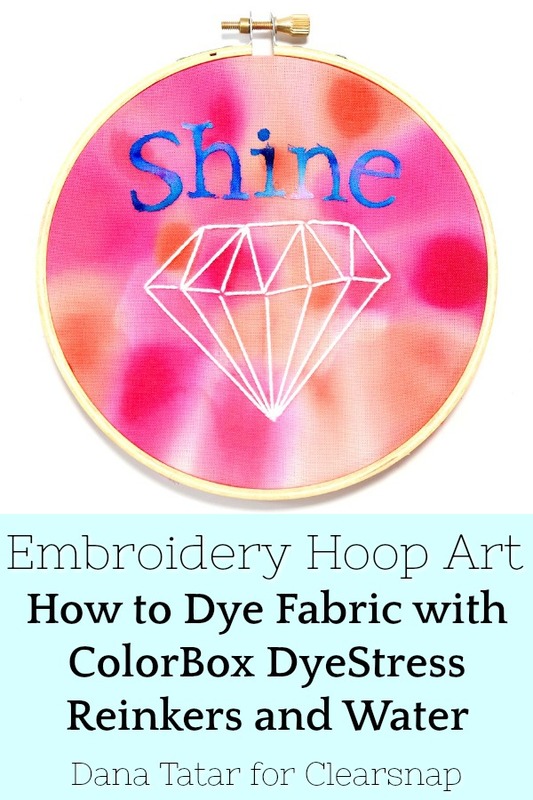 Use scissors to trim excess fabric from the embroidery hoop. Wow wow wow!! This is AMAZING!!! I loveeeeeeeeee the way it turned out!!!!!!!!!!!! I love it!! Really shines!